A pocket size tour of Michigan Avenue, Streeterville, State Street, and portions of the Loop, River North, Downtown, and signs from various Chicago neighborhoods. 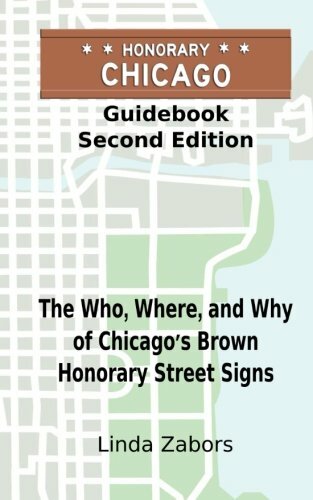 More than 80 of the many of the signs you are most likely to encounter when visiting Chicago, this book is based on the Honorary Chicago walking tours of downtown. It is as enjoyable to read while strolling along Michigan Avenue as it is to read at home while sitting in your favorite chair. We also produce books and media customized for your commemorative event featuring your topic or theme. Pocket size, take the Honorary Chicago Guidebook with you. Read it while strolling down Michigan Avenue or at home in your favorite chair.